Is the employee evaluation experience an excrutiating experience? Do wish it could be better? Do you have employees who are surprised by their employee evaluations? Do they want to argue about what you have said in the evaluation? Do they act like they have no idea what you are talking about? 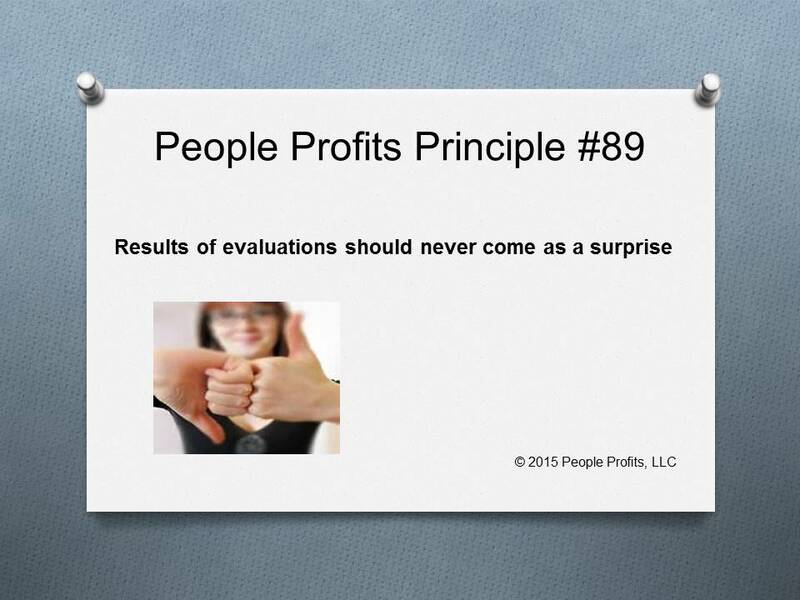 People Profits has a proprietary system called Constant Evaluation. It eliminates the above issues. No surprises - no heated stessful discussions.